Capcom R&D Division 1 starting development. 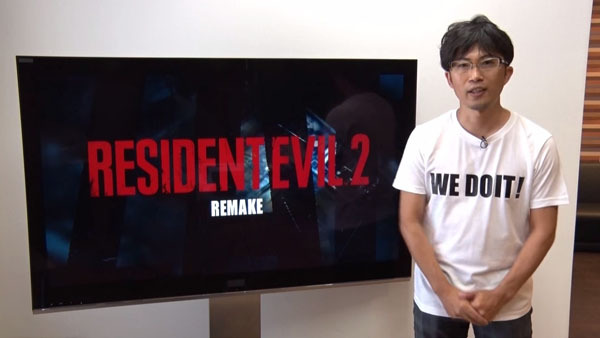 Capcom has officially announced a remake of Resident Evil 2. Hirabayashi, of course, is referring to the fan response from his initial pitch to Capcom two weeks ago. “You’ve been telling us for years that you want Resident Evil 2 to be remade, and we haven’t been able to make this happen… until now! We at R&D Division 1 will do our best to take on your feedback and deliver the gameplay experience you’ve been waiting for. “Just as I’ve been reaching out to you about the project via Facebook in the last few days, we will try to deliver news and messages about this project to you, the fans, directly. Watch Hirabayashi’s video message below.